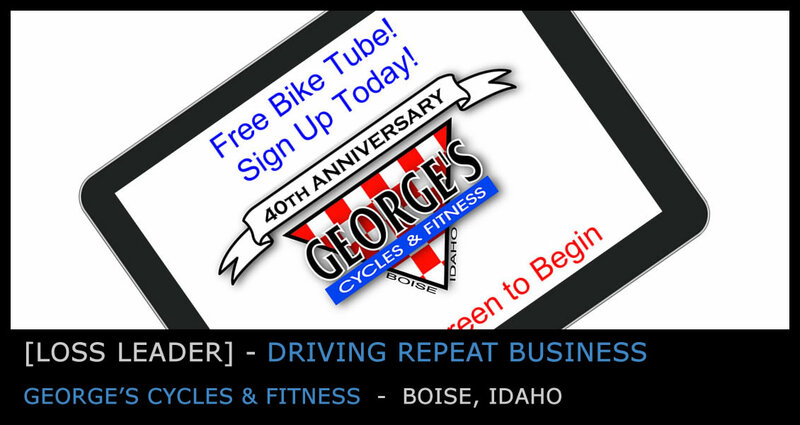 In business for over 30 years Boise’s most popular bike shop, George’s Cycles, had amassed just a few hundred customer emails. And with such a large range of ages and abilities among their cyclist customer base, a one size fits all approach to email marketing wasn’t going to work. Build an email database of their loyal customers using a free bike tube as incentive to sign up. Segment customers based on interest and skill level. A countertop kiosk at the point of sale with a clear call to action (get a Free Bike Tube) was key to George’s doubling their original list in less than 60 days. Those that signed up received a coupon via email for a free bike tube that expired 14 days after receiving it. Despite the generous offer only about 1 out of 10 customers that signed up redeemed the coupon. Simply asking a couple of questions while getting an email with iCapture can put the contacts into different buckets based on interest and skill level. George’s Cycles puts their iPad in an Armor Active desktop enclosure next to their point of sale. George’s employees encourage customers to input their email to receive the coupon for the free bike tube.